I just wanted to let yall know I haven't found a better way to save money the last year than what I share below in fact i've learned how to save even more this way So please read, follow, and share. I generally do not stockpile I buy in bulk if it's much cheaper but watch out some items are actually cheaper if you go for the smaller quantity so always check the price per ounce, qty or floz value on the labels. 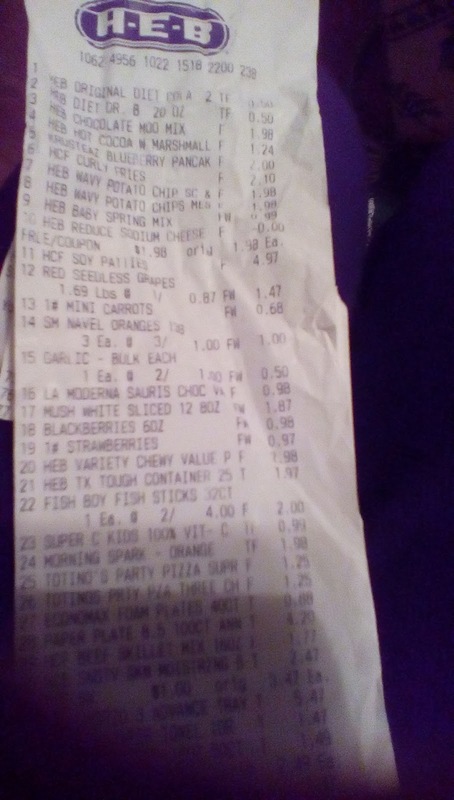 I have saved the most by making a list of items we are out of or need, add items on sale at heb (my grocery store) to my list, go to the digital coupon app n add coupons n add those items to my shopping list. When i go into the store i am prepared with my tablet (or smart phone) for the digital coupons, my shopping list, a pen, n calculator to keep track of how much im spending for ultimate savings i take out the cash i budgeted for that weeks grocery/home shopping n dont take any other form of payment so i know this is it for me that's $60 - $80 a week. 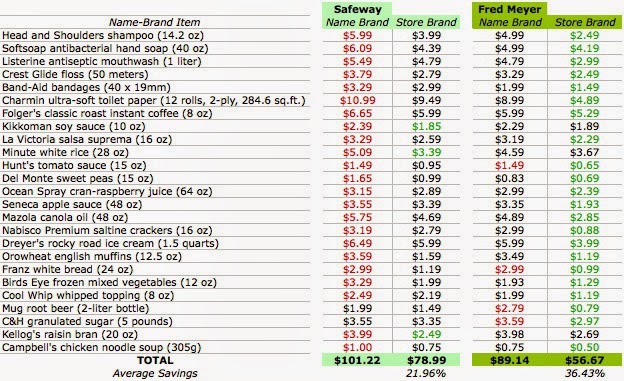 On average from that i save $30 a week or more because alot of the savings they don't account for on the total savings i've noticed so it could actually be alot more than that i've just never really tooken the time to figure that out because time is money n i like to spend mine doing other things than clipping coupons n getting ebates, eek! I hope this very practical way to cut your grocery bill in half will bless and encourage you, their's hope to save money on groceries and more! 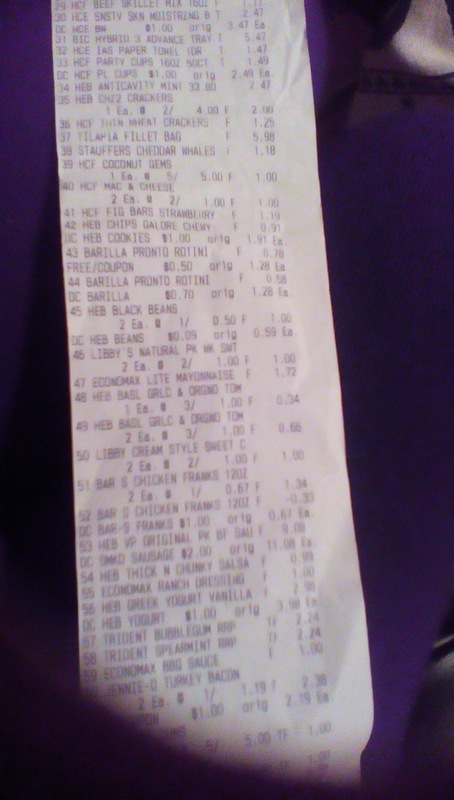 these receipts are actual savings by using on sale, in-store only coupons and buying store and generic brands only. this is at a TX chain store HEB. 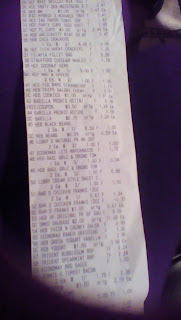 in this receipts HCE is the generic brand that i buy and i used some in-store coupons to save even more! i have written some posts that might help you: kimfincher.org on saving money and making money. 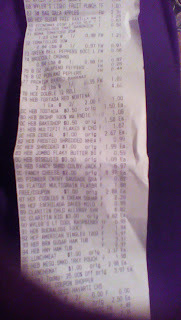 I personally do not recommend extreme couponing especially if you have small children at home it's very time consuming and then becomes addictive quickly and after trying different techniques i discovered that buying off brand consistently and clearance, discount, sales of off-brands and comparing your ounces for the cheapest by product receiving saved me 50% plus more each time i compared. in order to stockpile just use this rule of thumb: regular price buy what u need for the pay period or shopping period, i find buying for one month is best for the cheaper items i use regularly such as ramen noodles, dry beans, rice, seasoned can tomatoes, etc. they usually never go on sale and are always super-cheap, for bread i buy 4 rolls at a time n freeze. know ur regular prices 1, and then when u have a sale u can see if it's a great deal or not, if something is truly a clearance goa head n buy double ur usual amount or max u can without going over ur budget, i definitely recommend a deep-freezer for stockpiling meats and bread. making certain things homemade such as pizza n laundry soap is a big money saver if u have the time and making extra n freezing. 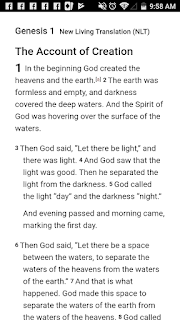 hope this helps some. Let's say you find some cereal on sale 2/$5 you normally buy this cereal for $3 a box so you automatically think this is a good deal. 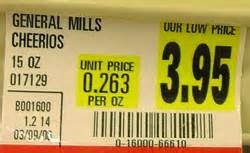 Here's how to tell if it truly is simply look at the size of the box of cereal say it's 14 ounces and then look at the box you usually buy and you see it's 18 ounces and then on the tiny print of the price tag label it will have the price per ounce if that's less then the sales price then you know it's not a good deal because you're getting a smaller box. This is where many people are robbed when buying with coupons if you really look at how much you are getting and compare with off brand/store brands you will be shocked at how much more you can get for the same price atleast 50% more usually. 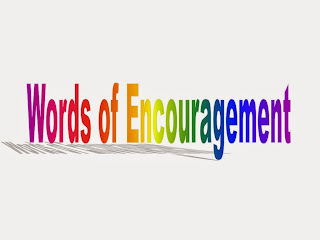 Try it yourself and share your results in the comments. here's a great example of savings! heres a label comparison, not every large qty is cheaper than small so always compare first. Great value brand is the walmart store generic brand. 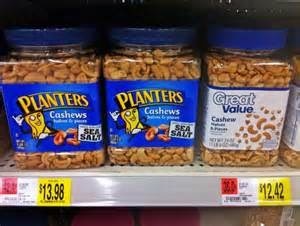 on these peanuts ur saving .6c per ounce or a total of $1.56 on these cashews. This is showing you the unit price per oz for your cereal of .26c for a 15 oz bag is $3.95 now if their happens to be a $1 off coupon on the box that you can use now making this box $2.95 and your generic brand toated o's are $2.99 for 19 oz then it's still cheaper to get the generic brand per oz this is why I take a calculator and i'm not shy about using it either, lol. 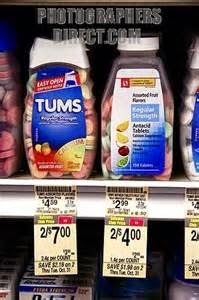 Now if the generic brand was $2.99 for a 15oz or 14oz then go with the name brand because it's cheaper with that coupon but i personally don't clip coupons to try n find those deals they are inconsistent and like finding a needle in a haystack my time is valuable n so buying the generic brands always saves me more consistently and reliably. 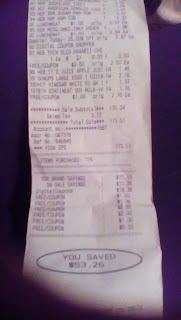 Added money saving tips: i've learned to look for discounts on things that are day of expiring n some have had coupons to double that i recently bought some bread that was $1 clearance and their was a $1 coupon right under that (heb rocks!) so i bought 4 loaves for free! also i've bought meat in this way 25% off with coupons to make them 50% off or more!! To keep my budget i avoid the soda, chip, n snack food isles n if i have $5 left ill get some snacks last because those are not necessary items and when i don't do that i can easily spend $10-$15 on sodas, chips, crackers, cookies, ect. Another way to get all your needs is go with the cheapest, smallest container it may be the smallest but not the cheapest, example: ranch dressing the cheapest brand is $1 that's what i usually buy not before i'd buy the bigger container but it wasnt cheaper per floz, also peanut butter i'd like to buy the biggest jar but sometimes i can only get the regular size jar they're about the same price per ounce. Sometimes it pays to buy the convenience foods even though they are 3 times the price that it would cost to make: example potato salad and cole slaw I really enjoy just opening that container and having a side dish to go with something home made i made and plus i just get burned out on making everything homemade so i mix it up with frozen pizzas, curly fries, burritos, and corn dogs and save on other things like ground turkey or seasoned mix instead of ground beef, the $2 pack of bacon instead of the $4 pack, the cheapest hotdogs, ect. I also buy plastic silver ware, styrofoam bowls, plates, and plastic cups to save time on washing dishes it's hard enough being a sahm to two toddler boys these things save me sanity and time which is just as valuable as saving money. But in season items n freeze for later such as fruit for smoothies, turkey, and hams (just bought a turkey for .53c a lb and ham for .89clb n it's already cooked! this is cheap healthy meat well the turkey is the best meat, the ham i love that it's already cooked). i still make homemade laundry soap and love it i actually have a lady buy it from me and resale, yeah! We are saving double each week for rent 1/2 will go to saving for home down payment as being renters for 5 years we've uninvest $40k!!! in this home we can't fix up or ever own, we plan on buying in this same neighborhood for $64k or less a fixer upper and owning in than 15 years. it's going to happen!! we love daveramsey and mary hunt on saving money. keep dreaming, planning and praising it will all work out in God's divine timing!! These last pics are from a shopping trip in October where I overspent n used a cc instead of cash I wanted you to see the prices I spend on items n compare with coupon deals I bet most of these are cheaper n you get more for your money this was a great savings trip but it wasn't successful in that I overspent n used a cc. I'm not perfect but know that the tips I share will n do save you money consistently every time I use them n you can too!